Okra is a tapering green fruit that is two to four inches long and is a staple in many Creole dishes like gumbo. 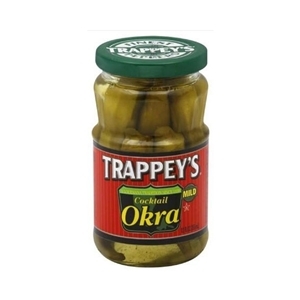 Trappey's Cocktail Okra is delicious eaten right from the jar or as a tangy garnish for tomato juice or a Bloody Mary. Mild heat level. 12 ounce jar. Product has a "Best By" Date of July 12, 2019.